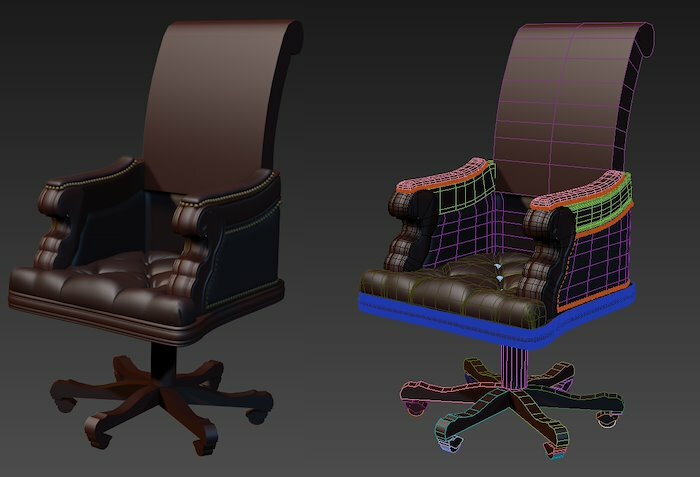 This is the progress I've made on the executive office chair for the scene I'm working on. I wrapped up the high poly arm modeling and did a test bake on the front of the arm rests and it came out pretty good. I've been experimenting with a few different ways to model the padded leather, so far editable poly / NURMS sub-division seems to be winning, but I might try zbrushing it and see how it goes.